"Some say death is the end. But for us, it's only the beginning." 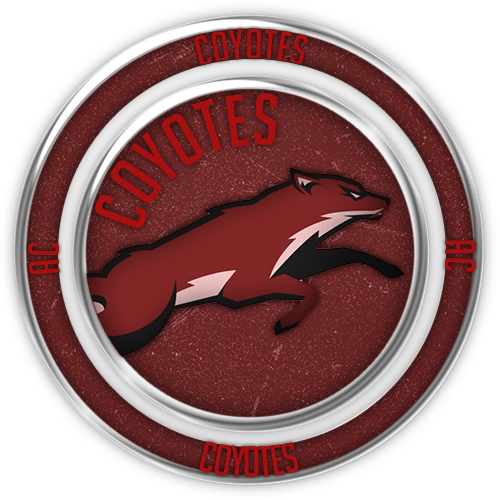 Coyotes (Can be recognized for wearing |AC Behind their name) is group of elite fighters who live in San Andreas. The group itself is split into 4. There's Elite, Professional, Master and Apprentice. Elite is the Group's HQ which are usually the best fighters in the server, all around San Andreas. Coyotes is invite only. The players have been confirmed to be good fighters by myself, invited to the group. We carry the |AC Tag as honor, showing our capability with weapons. We're up to dueling for money, usually all around the day. We do it for cash, and we also teach people for cash. The AC has been here before, but it was later resigned for my inactivity. Now we are back, stronger than ever before. "Till the end and beyond, our gladius will strike through your heart." You've made it impossible then. Exactly, you won't' be able to find the landing target !